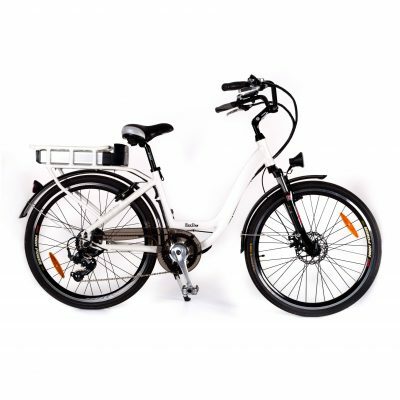 The Roodog Avatar Electric Bike comes in black with a matt finish and is available in crossbar or step-through frames. The battery is concealed in the bike frame and you have the choice of a 10Ah or 15Ah. The Roodog Avatar Electric Bike comes in black with a matt finish and is available in crossbar or step-through frames. The Avatar eMTB has a cleverly hidden battery within the bike frames down tube for a sleek look and added security. 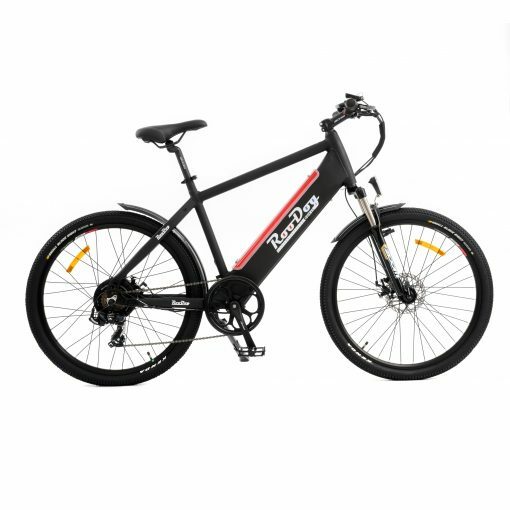 The 250watt motor assists you up to 15.5mph. 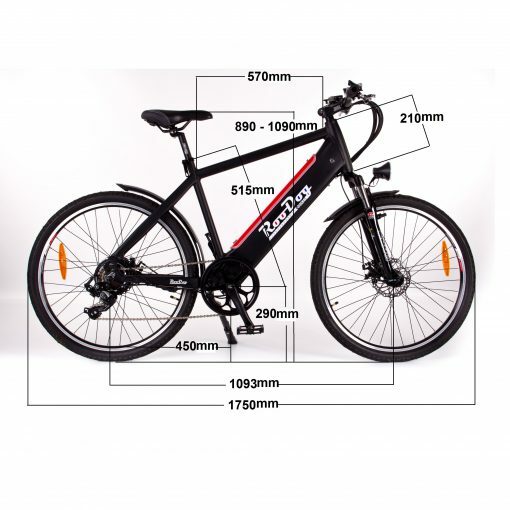 (the maximum speed allowed by UK/EU regulation) The motor is powered by a 36 volt 10Ah lithium-ion battery. 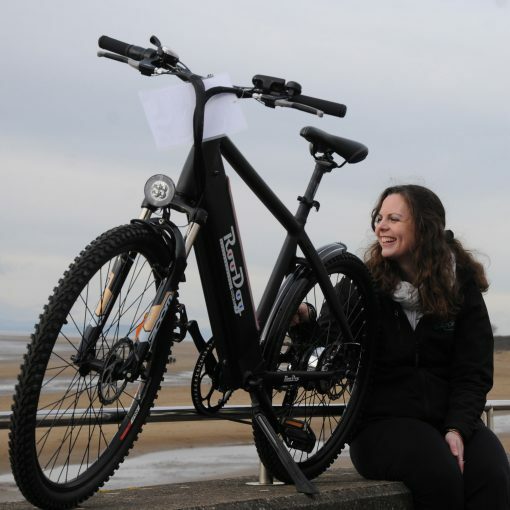 This gives a range of up to 30 miles* per full charge. 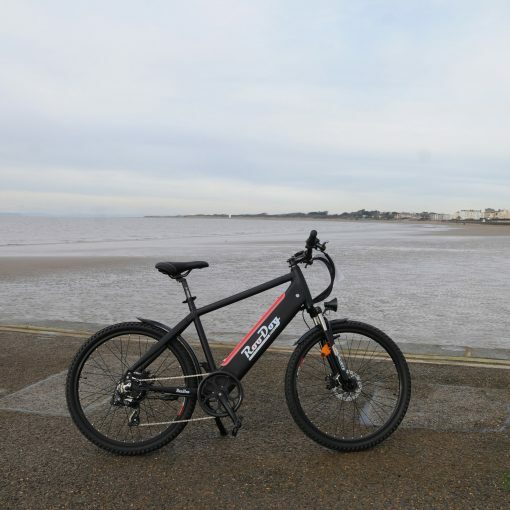 Batteries can be charged on the bike or unlocked and removed and will take four-six hours to charge from flat. There is also an option to upgrade the battery to a 15Ah. The LCD display shows the battery indicator, management of 5 speeds, and LED lights for the front. Aluminium alloy double walled wheel rims and 26” X 1.95” Kenda mountain bike tyres make riding trails fun and easy. The upgraded suspension and Tektro disc brakes front and rear, make the Avatar a very high quality, good value bicycle.